You have heard about those electronic rackets which are used to kill mosquitoes present at home or offices but have you ever heard about any software to drive mosquitoes away from your desktops computers? Well we have such software’s to do so, “Anti Mosquito” is a small utility that shall drive mosquitoes the far away from your computer area. This software produces mosquito repellent ultra sound. This sound causes an undesirable effect on mosquitoes to drives mosquitoes away from your computer. The sound range produces by this program are beyond the audible range of human ears. 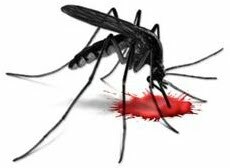 It is the reason you can’t hear but mosquitoes can but this sound produces an undesirable effect on mosquitoes and other pests thus restrain them from flying. The ultra sound is completely safe from damaging your hearing. All you need to do is download and then install in your computers. After installations, Clicking on activate button can start to produce mosquito repellent ultra sound. Note – All speakers cannot produce that frequency to produce this mosquito repellent ultra sound (Especially cheap one will definitely not). 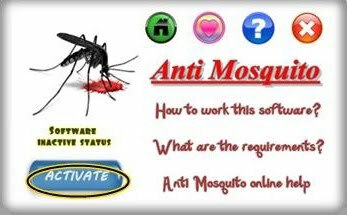 Tip – Anti mosquito is portable software and you don’t need to install it.